Florence Henderson (aka Mrs.Brady) passed away yesterday due to heart failure. She was 82, and apparently in good health all the way up to the end. She had an impressive career on Broadway before she became the "lovely lady who was bringing up three very lovely girls." May she rest in peace. Even though I grew up in the right era, I have to confess that I've never watched a single Brady Bunch episode, thereby missing a part of our precious television heritage that virtually everyone else shares. But what I did catch was the mind-boggling Brady Bunch Variety Hour, which sprang up after the original show was cancelled. 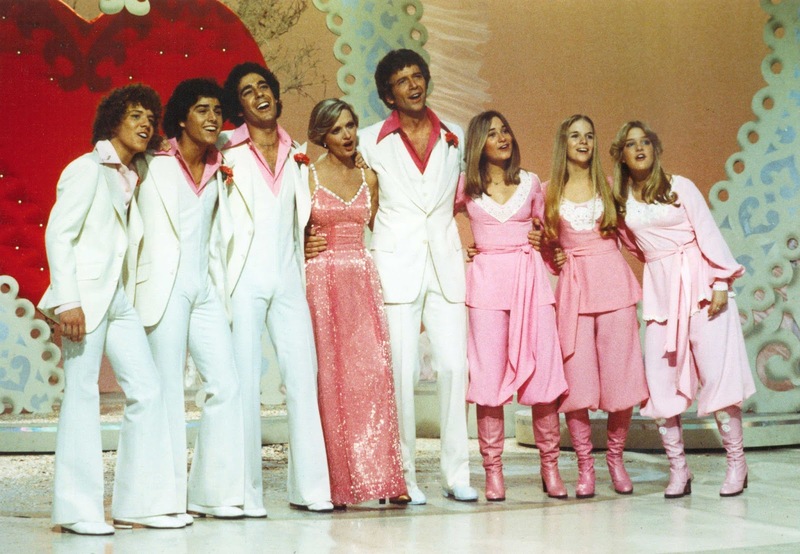 During a certain very odd period in the 1970s dozens of these variety shows clogged the airwaves -- Tony Orlando & Dawn, The Captain & Tennille, Sonny & Cher, Jim Stafford, and even the Starland Vocal Band (who I think only had one hit song ever!) had their own shows where they'd do lame skits and sing songs. The Brady Bunch Variety Hour was one of these, with the same attempts at dancing and the same gaudy costumes. But theirs seemed a little more surreal than the others. For one thing, they had just emerged from a world where they were an ordinary huge family in the suburbs. Now they had magically transformed into a troupe of singers and dancers performing bright, overproduced numbers and gamely tossing out awful jokes to amuse the crowds. I think the very first skit the Bradys did was one where the boys tried to persuade some professional singer to perform in place of Mr. Brady because they figured he wouldn't be good enough for the show. That sort of encapsulates what I'm saying: All the other shows starred actual, professional singers up on stage doing their usual jobs -- partly, at least. The Brady Bunch Hour was the unremarkable, everyday Brady family suddenly and inexplicably catapulted into performing before millions of people! I always had the feeling that they'd been made slaves by someone and forced to amuse their captors with their antics. Or maybe they'd gotten an ultimatum from some surly TV bigwig: "Ok Bradys, it's the variety show or nothin', see? Get up there and dance till your toes are bloody or you'll never work in this town again!" I don't mean to suggest that they were bad at what they did. Florence Henderson at least was broadway trained and you could tell that all the Bradys were just working their earnest little hearts out. But it was a strange time for TV (which I eagerly absorbed), and the Brady Bunch Variety Hour was the strangest of them all.